At the recent 7th Annual Funding Exits and IPOs event here in the Valley, I heard from leading investors from Canvas Ventures, Hummer Winblad, Garage Ventures, and Venrock. I thought it might be interesting for European tech companies looking to raise funds in the valley to hear the feet-on-the-street views on the latest IPOs. What did the panel have to say about some of the new funding trends in the valley? What is their view on recent IPOs such as Dropbox and Spotify? How has Spotify’s IPO broken new ground not for just pre-IPO European tech companies but US companies in general? And what’s the IPO outlook for 2018? The panel commented that prices have softened and are far less frothy than the heady days a few years ago, when there was a massive flow of funding, especially into unicorns. Fewer deals are being done across all series, albeit the deals are bigger and the same amount of money is being invested. We’re also seeing more Asian money in the valley (although the terms can be tough). It’s interesting to see these trends parallel to what's happening in Europe. Another key trend is that the angel market is settling down. The panel pointed to the 200 firms in Bay Area that have $150m in funds, who are also doing fewer deals. Some investors feel this is worrying for the ecosystem, while others feel the market is just returning to a more consistent state, similar to where it was a few years ago. It seems to me that the latter is probably what’s happening as this market was so hyped for a while. The discussion then turned to IPOs. There have been a couple of high-profile tech IPOs so far this year, and a pipeline of potential candidates in waiting. Firstly Dropbox, the cloud-based online storage network filed for its long-awaited IPO in February. Shares were sold at $21, valuing the company just over $9bn, somewhat less than its most recent private round. However, since then the stock has performed well, and is currently trading well above the IPO price, giving it a market cap of over $12bn. More recently, Spotify opted for an unconventional direct listing, shunning the opportunity to raise new money and leading to an excited buzz while everyone wondered what valuation investors would put on it when trading started. All indications so far are that this was a success, with shares closing on the first day at $165, above the reference price of $132. They have softened slightly and are currently trading at $149, giving it a market cap of around $27bn – the seventh most valuable internet company to go public in the US. All the investors at the event agreed that Spotify does have an impressive business with 70 million paying customers. From my perspective it really is amazing to see how Spotify has done so well. Back in 2014 when I managed the Spotify partnership at Shazam, I oversaw UX integrations between the two apps. Spotify had 20 million users then. It was unknown how many were paying. And it was unclear if streaming would cannibalize music downloads and succeed as a viable way to listen to music. That was back in 2014. Today, it’s hard to believe what Spotify has achieved in terms of changing how people listen to music, and disrupting the music industry. 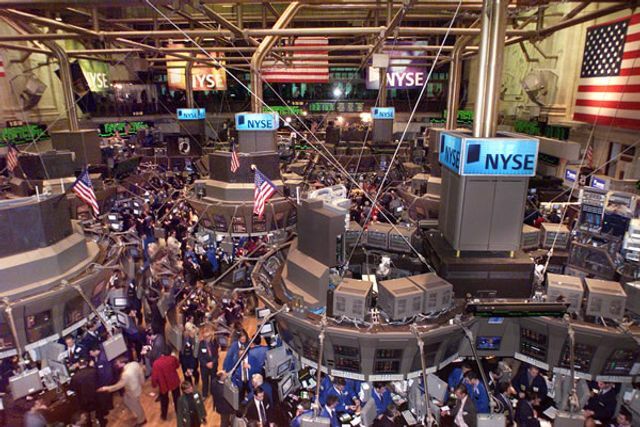 Another tech company that has been on the anticipated IPO list, Zuora, the subscription billing software company, had a successful first day of trading yesterday on the NYSE, closing at $20, up from the listing price of $14. This reflects a valuation of around $2bn, well above investor expectations, and putting it on a cool 12X 2018 revenues. What’s the outlook for 2018? Many people are predicting a good year for tech IPOs in 2018, despite a quiet IPO scene over the last few years. Tech companies that went public in 2017 have generally performed fairly well, with three quarters of the 30 IPOs up at least 20% in value from their IPO. One thing is for sure: there’s a backlog of mature unicorn companies that have been eagerly waiting market conditions to improve before going public. It seems likely that there will be some high profile listings in 2018, with likely IPO candidates including Pivotal, Docusign, Airbnb, Slack,, Stripe, Palantir, and WeWork, and possibly even Uber, Lyft and Pinterest. In Europe, we also expect to see activity, with talk of companies including Adyen and Farfetch coming to the public markets.